Wow, looks like you and I are on the same page with the mangoes. 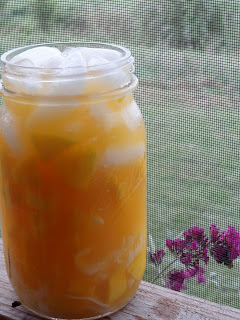 Love your refreshing mango and coconut drink, and as always, I love your recipes, and pretty photos! You were right about having the mangoes like ours in your hometown in Indonesia! 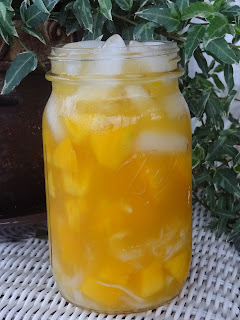 Very refreshing and love the combo of mangoes and coconut strings. I can imagine how good this must taste when you break your fast. All the best to your during Ramadan. This looks really, really refreshing! What a delicious way to break your fast! Beautiful AND tasty!